Book Online For Best Rates! Get your tickets to see MJ Live at the Stratosphere Theater now! This show is for the fan who can sing along to every word of “Billie Jean” and “Smooth Criminal." 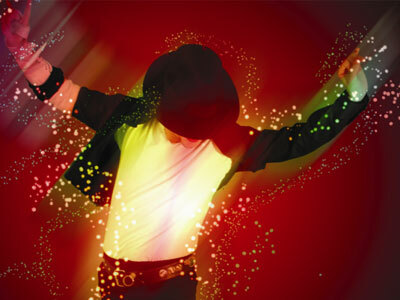 MJ Live is a family friendly show featuring a talented group of energetic tribute artists. Purchase online for tickets as low as $45 for this jam-packed show! Reserve your tickets to see MJ Live: A Tribute to Michael Jackson now and you'll save up to $23 on a general reserved seats! Rates from $50 before taxes/fees. The number one Michael Jackson Tribute show in the world, MJ Live features all of his greatest hits with choreographed dancers and spectacular lighting, costumes and stage effects. Relive the greatest hits and signature dance moves of the King of Pop at MJ Live. The famous Michael Jackson impersonator, Michael Firestone, belts out the hits and emulates Jackson’s dance moves, mannerisms and voice so exactly that you might believe you are seeing Michael Jackson reincarnated. The Stratosphere has brought an energetic superstar performance to the stage with Michael’s greatest hits Billy Jean, Bad, Beat It, Smooth Criminal and many many more. In addition to Michael Firestone’s exacting singing voice, the recreation of his costumes, theatrics and appearance is something that must be seen. This tribute performance will convince Michael fans that they are witnessing the resurrection of their favorite superstar as the dancers, band and lighting all create the feel of a live concert. This is a show that everyone will love. I’ve seen this show a few times, and I love it every time. My only wish would be for it to be longer! On point with the singing and dancing in this one. Really great for all ages! If you ever loved Michael Jackson, this show is the right one for you. The music and dancing combined were great. I felt like I was watching MJ himself! Justin Dean’s portrayal of MJ was spot on, a job well done. This show was worth the money. It’s a must see for true MJ fans. Heroes get remembered but legends never die! The Legend of the Largest Pop Artist who Ever Existed will Forever Live On! This Show provides that essence that once lived strong! Michael Jackson is still alive in this Amazing performance! Not only are the vocals exactly on point but the choreography is precise and identical! This act has to make Michael proud! By far the Best Tribute Show for Michael I have ever seen! If you are a true Michael Jackson fan, you must see this show, you won’t be disappointed. It is energetic and nonstop entertainment. He does a fantastic job portraying MJ. The vocals and dancing are incredible.